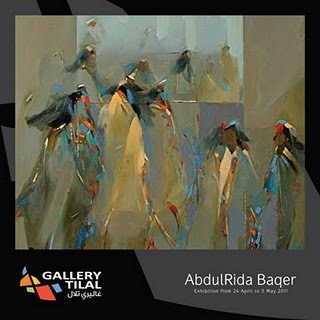 Tilal Gallery presents an exhibition of Abdul Rida Baqer. The Opening is Sunday, 24th of April at 7 PM. Drawing inspiration from his personal life, Kuwaiti-born Abdul Rida Baqer’s oeuvre combines his past memories with his current experiences to create works that embody his entire being and state of mind. This Solo Exhibition features 39 oil on canvas paintings give the viewer immaculate insight into his artistic choreography and style. Baqer has participated in various international exhibitions in Spain, Lebanon, Greece, Iraq, Tunisia, Japan, India and Monaco.